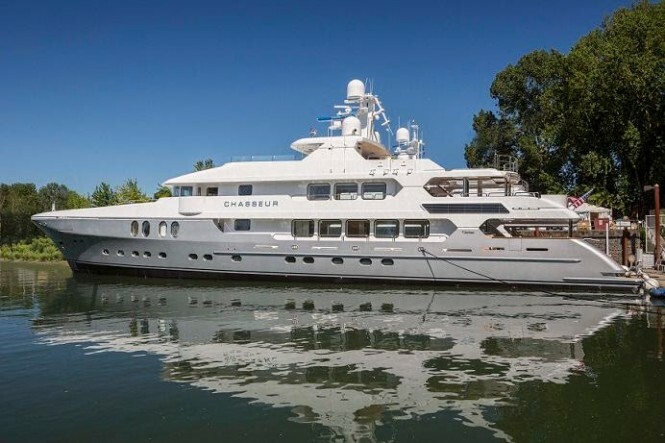 After launching 50m superyacht SILVER LINING less than a week ago, Christensen has launched a second luxury yacht from its shipyard: 50m CHASSEUR. This feat was accomplished using a unique in-house built pulley system. A 130,000 pound steel cradle was turned into ‘a safe and reliable mini-dry dock launcher’ to overcome the issue of low water at launch. The Christensen shipyard has risen to the challenges presented to the luxury yacht market in recent years to come back stronger than ever.